When the Spanish wine guide Vivir el Vino speaks, the wine world listens — and this year the love for Ribera del Duero and Rueda is loud and true. 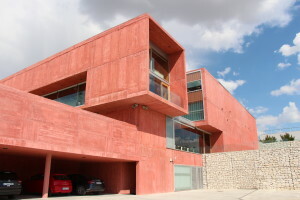 In their 14th edition of their awards, after tasting 2,000 wines from 365 different wineries across Spain, Vivir el Vino declared Pago de Carraovejas — a stunning winery in the heart of Ribera del Duero — with their Best Winery honors. The winery, which has a humble beginning as simply a restaurant owner’s attempt to make wines that paired well with his suckling pig dishes, also has similar company, as Carlos Moro was awarded with the Career Achievement award for his work at Matarromera. It’s been a good week for Pago de Carraovejas, who also found themselves in the Top 100 Wineries list from Wine & Spirits Magazine. Not to be left out, Rueda had a big win of its own — with a familiar name that is racking up the accolades lately. Javier Sanz earned another prize for its V Malcorta offering, a Verdejo from a particularly tricky breed of vines that literally translates to “bad to cut” in Spanish. It might be tough to prune, but those vines are paying off for Javier Sanz.